In a large bowl, add the buttermilk, sour cream, mayo, lemon juice, garlic, Tabasco sauce, and salt. 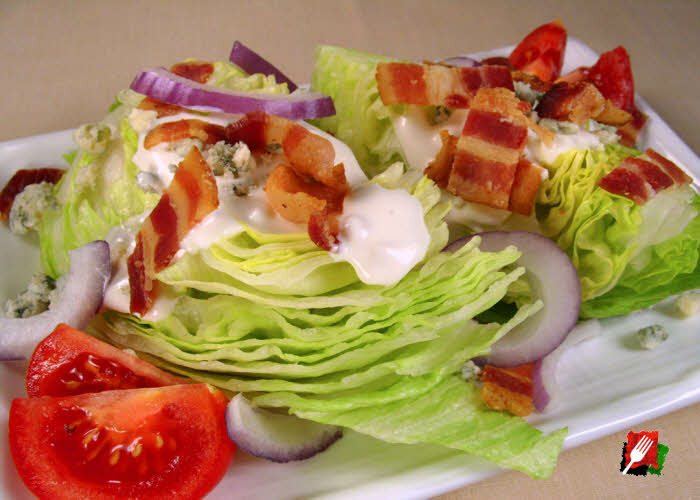 Whisk until smooth, then gently fold in the crumbled blue cheese a little at a time until thoroughly combined. Add additional salt and pepper to taste. Let the dressing chill for a few hours or overnight in the refrigerator to tighten up. 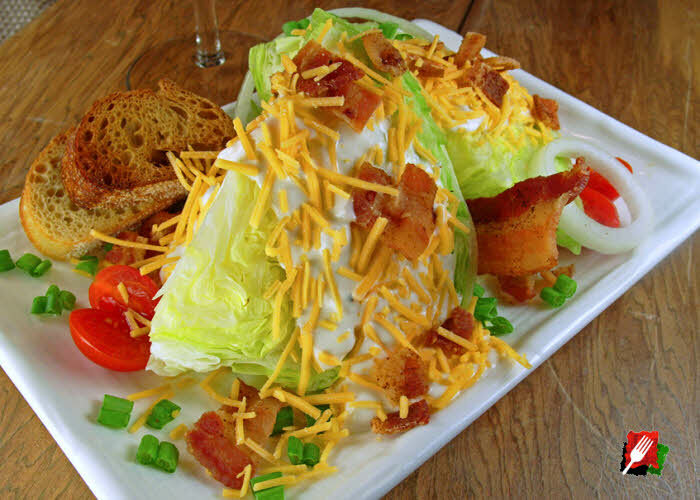 Clean the refrigerated iceberg lettuce, slice it into large wedges, then add two wedges per plate. 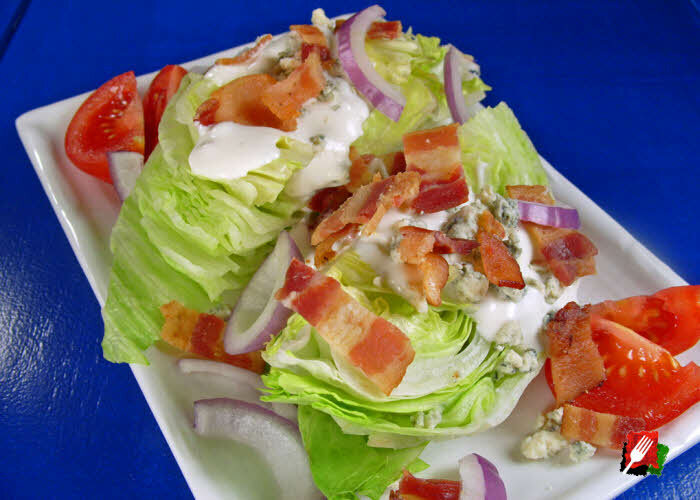 Drizzle on the premade buttermilk blue cheese dressing (as much or as little as desired), then garnish with a few slices of halved cherry tomatoes, red onion slices, chopped bacon, and a few extra crumbles of blue cheese over the plate.